This just in from Jerry. Dressed To Kill from Tyson Maughan on Vimeo. Thanks to Marie for the heads up some recent additions to Generic Radio. Check out these American Civil War radio shows from Cavalcade, Escape and The Columbia Workshop. You can find them and more on the Old Time Radio transcripts page. Writer Bio: Matthew Dressel has been writing comedy screenplays for the past 7 years. His first feature-length comedy, Based on a True Story, has been optioned and is currently in development by Katapult Filmproduktion (Germany), with award-winning music video director Daniel Lwowski directing. Matthew is also personally developing Casting Kristin; a feature-length romantic comedy based on a short he made several years ago. 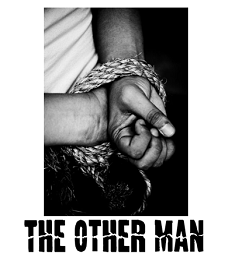 The Other Man is his first foray into the thriller genre, but still features hints of dark comedy throughout. It was recently a Finalist in the Gimme Credit Screenplay Competition. Matthew also has a degree in advertising and currently works at a trailer house in Los Angeles, CA. He has written copy for such clients as Walt Disney Pictures, Miramax & Rogue Pictures. Matthew grew up in Grand Rapids, MI, but now lives in Irvine, CA with his wife, who is currently studying for her PhD in Philosophy.